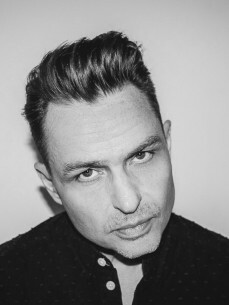 StoneBridge, the GRAMMY nominated Stockholm based DJ, artist and producer that has created remixes for artists from Usher to Lenny Kravitz, appeared at festivals such as Dance Valley, Sensation White and Australia’s Summadayze, started 2014 in style. His single ‘Global Warning’ with Caroline D’Amore was quickly snapped up by Robbie Rivera’s Juicy Music imprint before scoring his 20th Billboard Dance No 1 with his remix of Cole Plante with Myon & Shane 54 ft Koko LaRoo ‘Lie To Me’, which he produced with fellow Swedish producers Luv Gunz. StoneBridge then remixed Icona Pop ‘Just Another Night’, Fawni ‘Touch Me’ and the Billboard Dance Chart climber ‘Bombs Away’ by Gia and featured on DCONSTRUCTED, a compilation of reworked Disney classics released by Walt Disney Records with reimagined mixes and productions from a-list artists including Daft Punk, Avicii, Armin Van Buuren & Kaskade. In addition to his busy studio, radio and touring commitments, StoneBridge also runs his own record label Stoney Boy Music, which since being established 1997 with early releases from future stars Axwell, Eric Prydz and Robbie Rivera has just passed its 100th release. The label has also spawned the highly acclaimed sub label Dirty Harry Records which launched early 2014 catering for up and coming house music talent such Atilla Cetin who has been turning heads with with his funk infused club hit, ‘Just Want Your Love’. With upcoming singles including StoneBridge, Luv Gunz & Koko LaRoo ‘You Can Have It All’ and StoneBridge & Crystal Waters ‘Be Kind’ (both due summer 2014) the label continues to hold its place at the forefront of electronic dance music. No stranger to radio, Stone also presents two weekly radio shows; Sirius XM/BPM’s Epic Mix with StoneBridge aired every Saturday night across North America and StoneBridge Guest Mix for Hed Kandi Japan every Saturday afternoon in Japan. In Spring 2014 a 3rd show was added - a monthly show on Los Angeles Power 106 called the Monthly Round Up with StoneBridge as part of the popular Powertools show. His studio career has also seen him leading annual workshops in London for leading trade magazine Future Music, who have featured him as a regular ‘In The Studio’ guest from his Stockholm studio. Stone also works closely with premium audio brand Sonnox Plug Ins and set to launch his own virtual instrument in 2014 via VIProducer. In his early days StoneBridge created Sweden’s first DJ/Remix company SweMix. Turning a basement operation into a hugely successful record label & brand that was responsible for worldwide hits like StoneBridge’s remix of Robin S ‘Show Me Love’, for which he received a BMI songwriter award in 2012 as co-writer of Jason Derulo’s ‘Don’t Wanna Go Home’ which used his iconic bass line in addition to the 2010 Grammy Nomination for his remix of Ne-Yo ‘Closer’. Building on the success of his remix merits StoneBridge has released three studio artists albums. Can’t Get Enough (Hed Kandi 2004) including the top ten hits ‘Put ‘Em High’ and ‘Take Me Away’, Music Takes Me (Armada/Ultra Records 2007) including the hits ‘SOS’, ‘Close To Heaven’ and ‘You Don’t Know’. The third album The Morning After (Armada 2010) including title track and ‘Trip’en’. StoneBridge is currently working on his fourth album which he believes will be his finest moment yet. Since tapping into the musical mainstream with his remix work for artists such as Robin S, Sia, Texas, Missy Elliott, Madonna, Taio Cruz and Ne-Yo, Grammy Award nominated artist, producer and DJ StoneBridge has not slowed down.